The Hôtel Biron is an hôtel particulier, built by Jacques Gabriel and his associate designer Jean Aubert, in 1728-31. 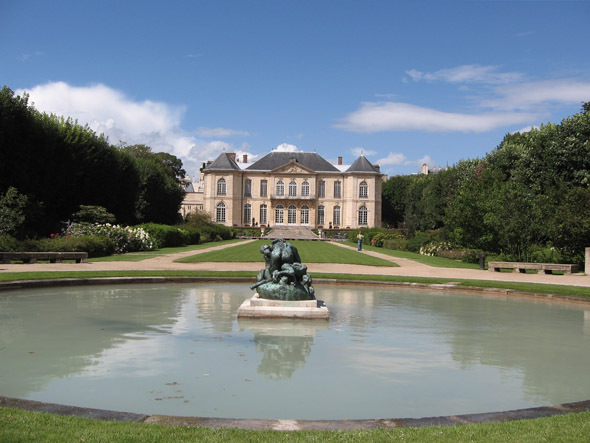 Since 1919 it has housed the Musée Auguste Rodin. The hôtel was built for a peruke-maker, Abraham Peyrenc de Moras, who had speculated successfully in the ill-fated paper money schemes of John Law that had ruined many, at a time when the Faubourg Saint-Germain was still suburban in character. 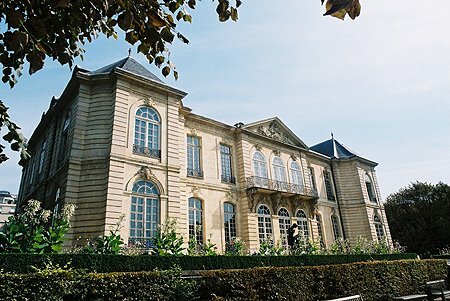 His house, the most superb in the neighborhood, was built as a free-standing structure, not built entre cour et jardin, “between entrance court and garden” with party walls against adjoining buildings, as hôtels in more densely-built quarters of Paris have traditionally been built since the seventeenth century. The house is still surrounded by three hectares/7.3 acres of grounds. 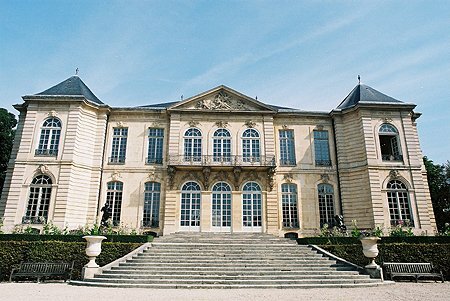 During Napoleon’s reign, the Hôtel de Biron was the seat of the Papal legate and then of the Russian ambassador. In 1820 it was given to the Société du Sacré-Coeur de Jésus, whose Dames du Sacre-Coeur, dedicated to the education of young women, converted the hotel into a boarding school for girls from aristocratic families, and stripped the house of all luxuries, mirrors and boiseries and added a chapel. Under the 1905 French law on the separation of Church and State, however, the school was forced to close. The house was subdivided into lodgings, and plans were afoot to demolish the mansion entirely and replace it by a block of flats. 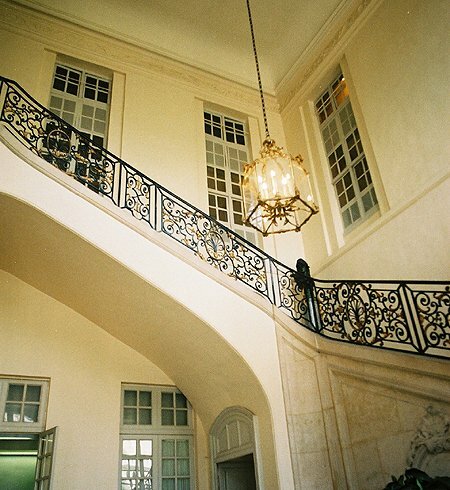 August Rodin rented several rooms on the ground floor in which to store his sculptures. The rooms became his studio; there he worked and entertained friends among the overgrown gardens. 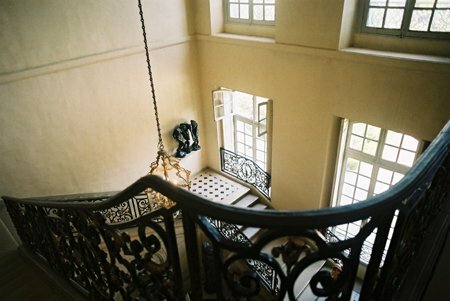 In 1909, Rodin, at the height of his fame, began to agitate for the Hôtel Biron to become a museum of his work. He made a bequest of his property, his archives and the contents of his studio at the time of his death, and the French government accepted in 1916. The museum opened in 1919.